Your jet ski won't start. All is not lost! We can fix this. 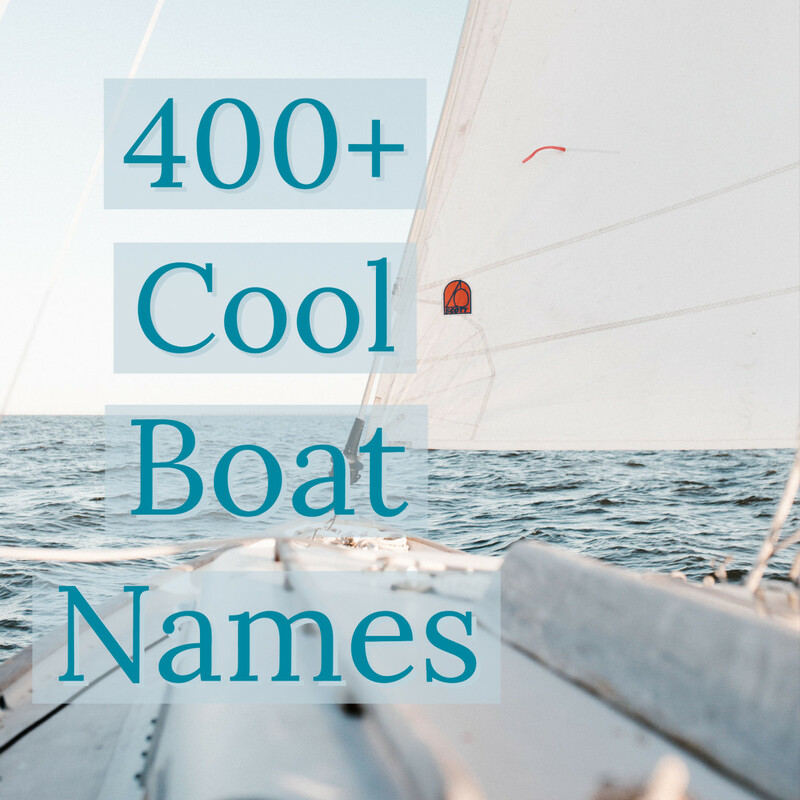 If you have a bit of mechanical know-how and some tools, we'll have you back on the water in no time! I have two older jet skis, a 1992 and a 2000. The 2000 has issues more often than the 1992 one does (probably because I ride it harder!) But they're jet skis; they spend their time directly submerged in water! There are bound to be regular repair ssues when your toys spend this much time in the water. Electrical and mechanical devices do not mix well with water. The results: rust, sediment, corrosion. 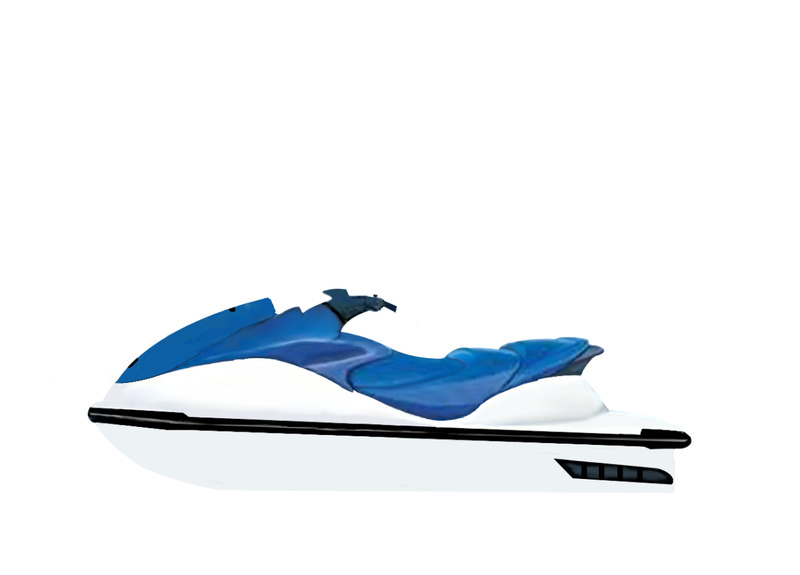 It's all part of the world of jet skis. If you take your time and go through the steps you'll be able to narrow down the problem fairly quickly. The starting system can be daunting, but certain components go bad pretty regularly. Those are the ones I'll go over, here today, with you. We'll go through troubleshooting starting with the most common problems and end with the least common. In this way, hopefully, we'll have you back on the lake a.s.a.p.! Before we can do anything it is imperative you have a good battery. Last season's battery will not do. Every year I have to replace the battery on both skis. Sure, last season's battery may have one, maybe two, starts left in it, but I don't want to find out how many it has left when I'm out on the lake. Have you ever had your ski use its last start when you were way out in the lake? It is not a good time in the least. And once you start working on your jet ski, trying to identify the problem, there's almost nothing worse than going through the whole system, trying to pinpoint the issue, only to find out the battery was old!! Batteries run about $80 as of this writing in 2016. Get a new one this season. Take it home, read the label, add the acid and charge it up. That is where we start. Try starting the ski with the new battery. Anything? Yes, right on, you're on your way. No? No problem, let's look at the wiring. 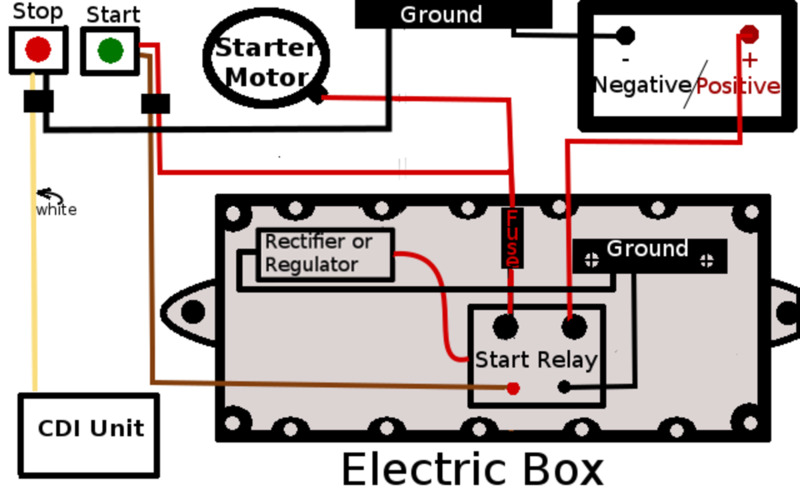 After the battery, one of the more common problems with the starting system lies in the starting solenoid. If you're hearing a "click, click, click" from under the seat when you push the start button, it is your starting solenoid trying to pass electric current to the starter motor. The clicking sound is coming from inside the solenoid, and it's a good thing. It means the contacts are making contact when you push the button. If the solenoid is working well enough to send that current, that means the electrical wiring is just fine. But if there is no click, then there's a problem. Let's look through the wiring. If you have installed the battery, disconnect the cables while we check the wiring system. Removing the negative battery cable will work, but personally, I remove both positive and negative, I don't want to take a chance of being zapped! The components that we'll be checking have a high probability of zapping if the battery is not disconnected. We'll need a multimeter for checking the wiring. They can be purchased at hardware stores and automotive parts stores for usually less than $20, or your neighbor probably has one if you don't already. Continuity is defined as being unbroken and consistent. Due to the plastic sheath encasing the wire, we cannot see where there may be a broken wire inside the casing. When we check for continuity we are setting the multimeter so that it will indicate whether a wire is unbroken and consistent inside the casing. The major components of the starter system are pictured above (photo 1). This will give you an overview of what we'll be checking. Removing and opening the electric box will take more than a minute with all the screws it has, so let's do a quick check of the wiring at the handlebar. As you work keep an eye out for electrical wiring that is exposed, or wire touching metal, any bent, crimped or pinched wire and broken or disconnected wire. Any of these can cause the system to not start. At the left handlebar, you'll find the engine start and stop buttons (photo 2 above). Follow the wires along the handle bars, through the cover, and into the engine compartment. You will need to open the front cover and remove the storage container under the hood to access the couplers. You'll find two couplers along the line (photo #3). 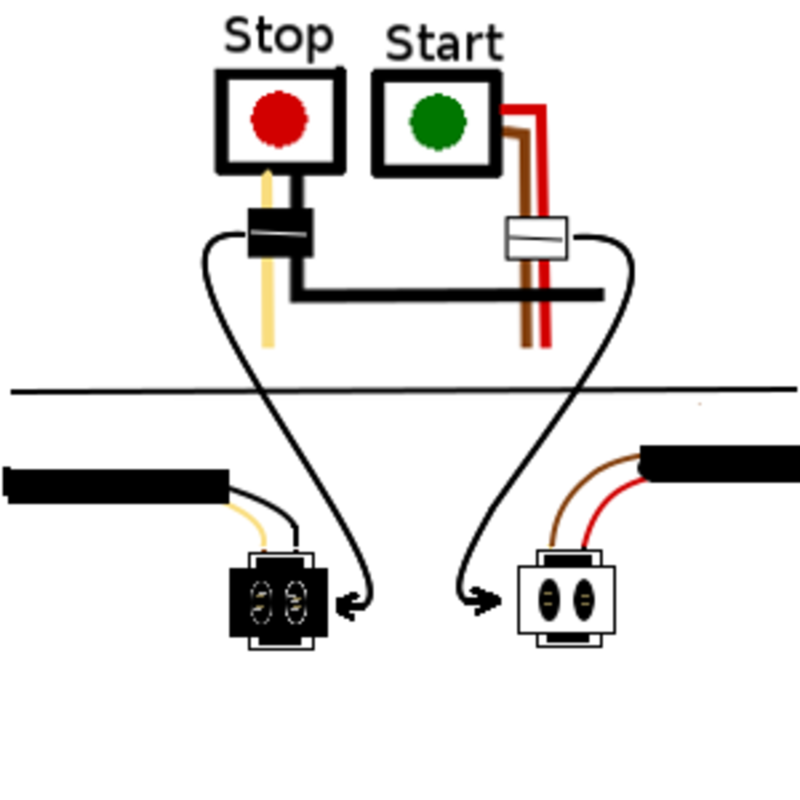 The white coupler goes to the Start switch and the black coupler belongs to the Stop switch. 4. The start and stop switch and wires, located on the left side handlebar. Set the multi-meter to "continuity." Place each probe into a slot (one in the red and one in the brown wire slot). Is there continuity? No? Good. Yes? That's a problem. Keep the probes in the same position, insert the lanyard key into the lock plate, and press the start button. Is there continuity? No? That's a problem. Yes? Good. 6. Insert the lanyard key. Probe the stop switch. Repeat the steps for the stop switch coupler (photo 6, black coupler with white and black wires). The results should be the same. With the lanyard key out there should be no continuity on either one. When the lanyard is in, and the button pushed, it should have continuity. If you have continuity when the buttons are open, or no continuity when pressed (make sure the lanyard key is in! ), then there's a problem with the button or with the wire between the button and the coupler. Replace—or open and clean—the appropriate button. A good ground is imperative to an electrical system working. I can't stress this enough. All the connections in the world won't fix the system if the ground is poor or non-existent. Everything that has a positive connection must also have a negative (ground) to complete the circuit. As you're checking wires, check the ground as well. 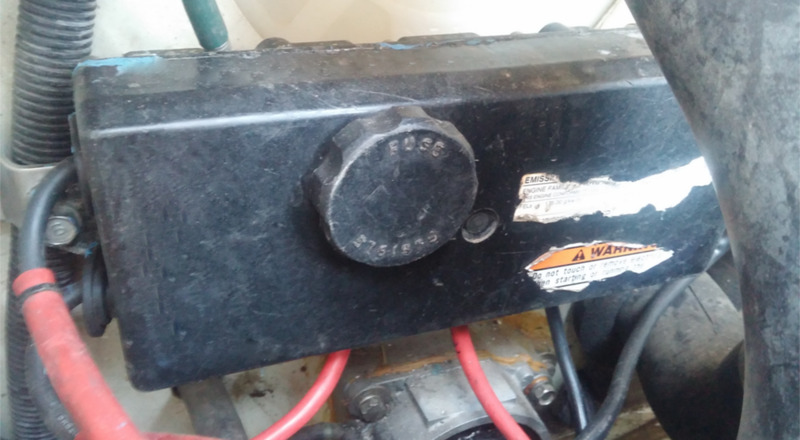 If you see the slightest hint of corrosion (it's a jet ski, it happens), pull the ground off and clean it up, as well as the bolt, any washers, and the mounting surface ,with sandpaper or a wire brush. Make it shine! When you put the ground back together make sure it's snug! A loose ground bolt is like no ground at all. If you have gotten to this point, it means the switches and wiring between the handlebar and their coupler are fine. With the battery still disconnected, reach down to the starter positive terminal (photo 7 above). It's not easy to see, but it is easy to feel. Is the connection good? How about the ground? The ground on the Yamaha 2000 is on top of the motor, very easy to check. Are the connections secure with no corrosion? 8. Electric Box under the seat, against back firewall. If that's all good, it's time to pull the electric box (photo 8 above). The electrical box is located in the engine compartment, under the front seat, on the back firewall. It is held up by two bolts, one on each side. After removing it from the firewall, pull it up and out without breaking the wires coming out of it. They are still attached to their components. Just lift the box up high enough to set it on the seat ledge. There are 14 screws around the perimeter of the electrical box. It's important that this box remains water tight, so be careful with the screws you remove. Put them somewhere safe. Check all the wires inside the box. Make sure the wires did not get pinched when the electric box was closed by the last person, and make sure the ground wires are firmly attached. Make sure the couplers are secure, everyone of them, in the electric box. I've had all three of these issues at one time or another! Once the ground was crushed in the lip of the box, and another time the ground screw had eroded and needed to be re-tapped. The last one was a random no-start situation that turned out to be a connection that had become loose. 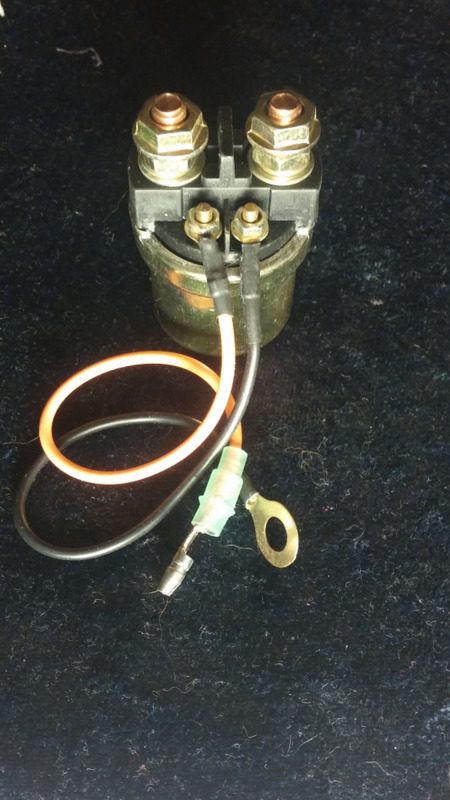 The starter solenoid is pictured above; that's what you're looking for. The two large screws are for the large (red) positive battery lead and the large (red) positive lead going to the starter. The small wires are ground (black) and the other one runs to the start switch. The large positive lead has a fuse that comes off of it. This runs up to the rectifier/regulator. These components can go bad, but not often. Hook up the battery cables. Using an insulated screw driver, cross the two red wires (one coming from the battery and the other going out to the starter). If the starter turns over and tries to start, then the solenoid needs to be replaced. If it clicks then it's the starter that is bad. 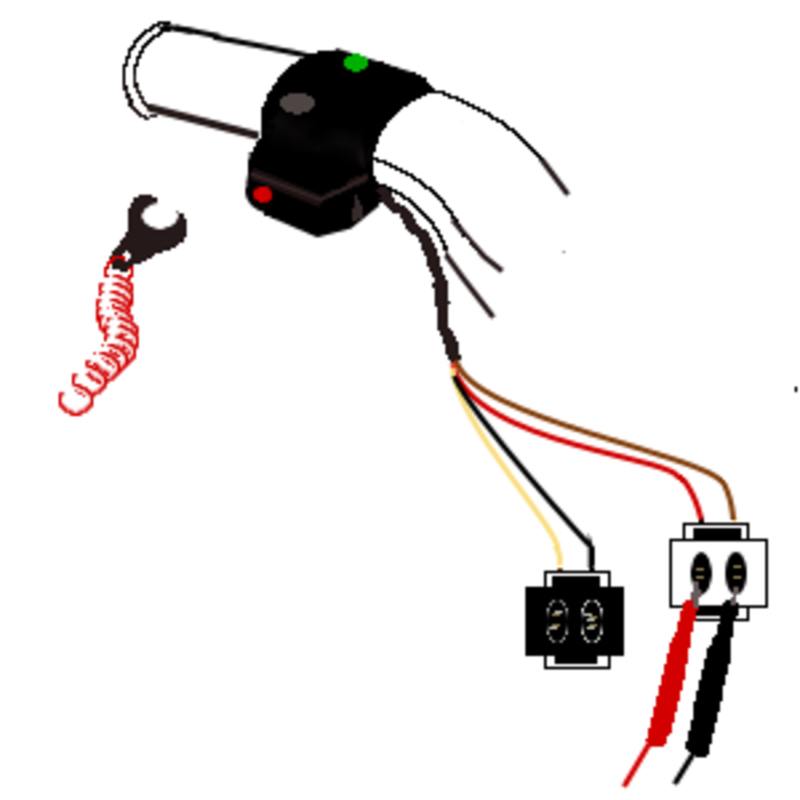 Remove the four wires attached to the start solenoid. 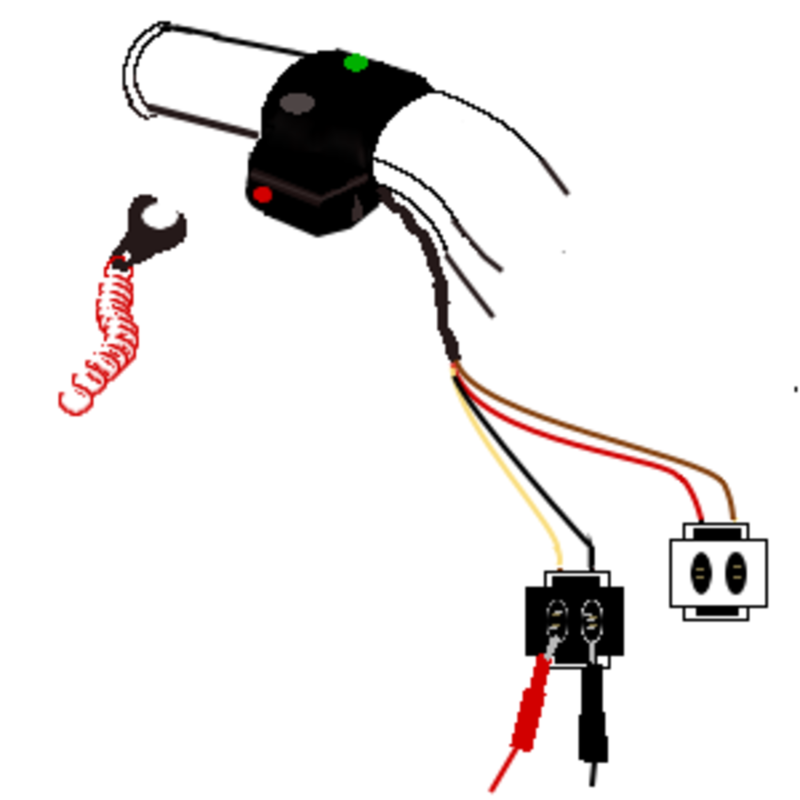 Attach a wire to each one of the large screws on top of the solenoid. Take the other ends and place one on the positive battery terminal and the other on the negative terminal. Did the solenoid click? If it clicks, it's fine. If it doesn't click then it's no good. If the solenoid is clicking, and your battery is strong, then the problem lies with the starter most likely. 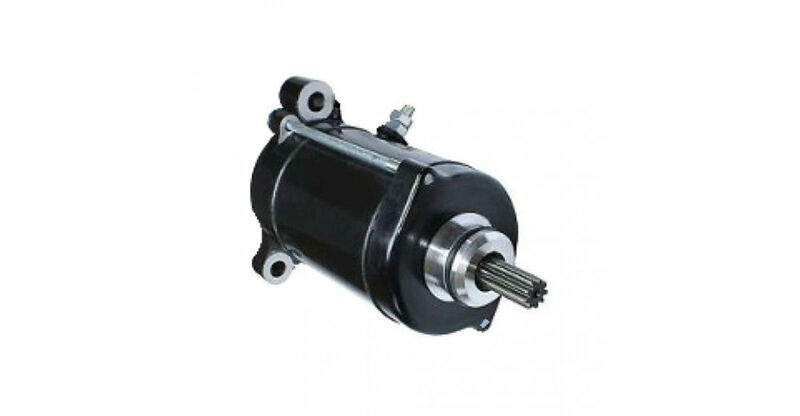 The starter is not difficult to replace, but accessing the starter can be a pain. Just remove the exhaust to replace the starter. It can be replaced without removing the exhaust but it really isn't worth the headache. If by this point, the ski still won't start, I'd be surprised. But if it still won't start, then you'll need to test the CDI unit, rectifier/regulator, and coil. The coil is responsible for the spark. Remove the spark plugs. Put one into its boot. Set it near the engine. Push the start button and you should see a small, blue, spark jump from the spark plug to the engine. Do the same for the other spark plug(s). No spark? Make sure the wires to the coil are good, and if they are replace the coil. Here's a good in-depth article on the ignition components, like the cdi and coil, and how to test them. 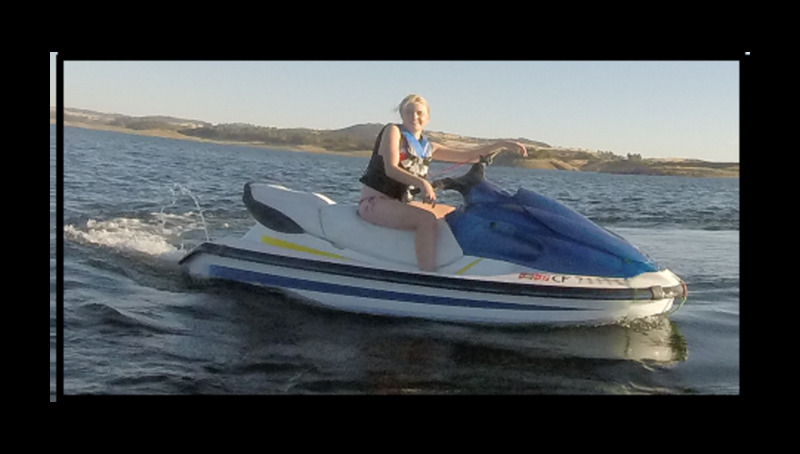 Like I said, jet skis are water toys. If you ride yours like I ride mine, everything in it is going to get wet! When I'm jetting, I head for every boat wake, ripple and curl. My ski takes a beating and it gets soaked doing it. 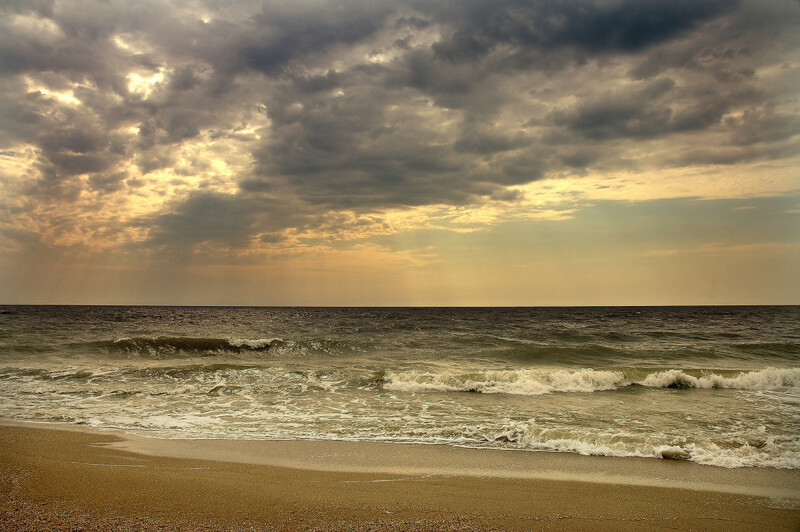 Besides getting wet, components and screws come loose, and there's going to be corrosion. Be meticulous about checking the wires and connections; many times the problem is something simple. 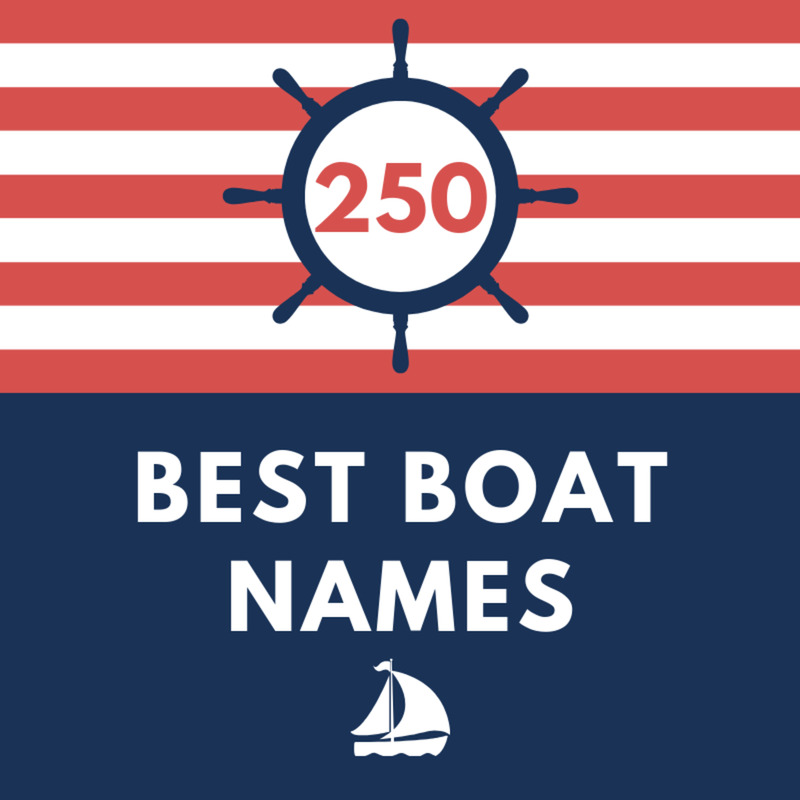 Bonus: Can My Car-Jump Start My Jet Ski? The answer is yes; you can jump-start your jet ski from your car. It's the same principal as jump-starting car to car. Attach the positive (red) cable to the positive terminal on the good battery, and the negative to the negative (black) terminal. 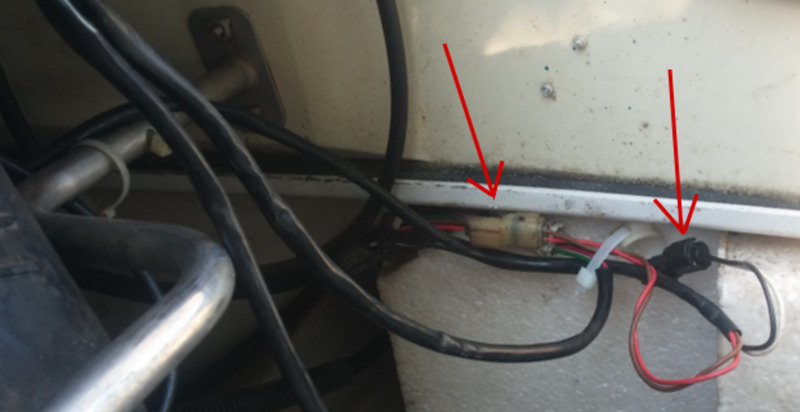 Go to the jet ski and connect the positive (red) cable to the positive battery terminal. Connect the negative to a good ground somewhere on the engine. DO NOT START THE VEHICLE! The battery in your car has plenty of juice to fire up the ski without it running. If you start the car you may very well destroy your electrical system. Insert the lanyard key under the lock plate. Push the start button on the ski. When it starts, remove the cables from the engine ground and the positive battery terminal of the jet ski, and then from the car, and you're done. 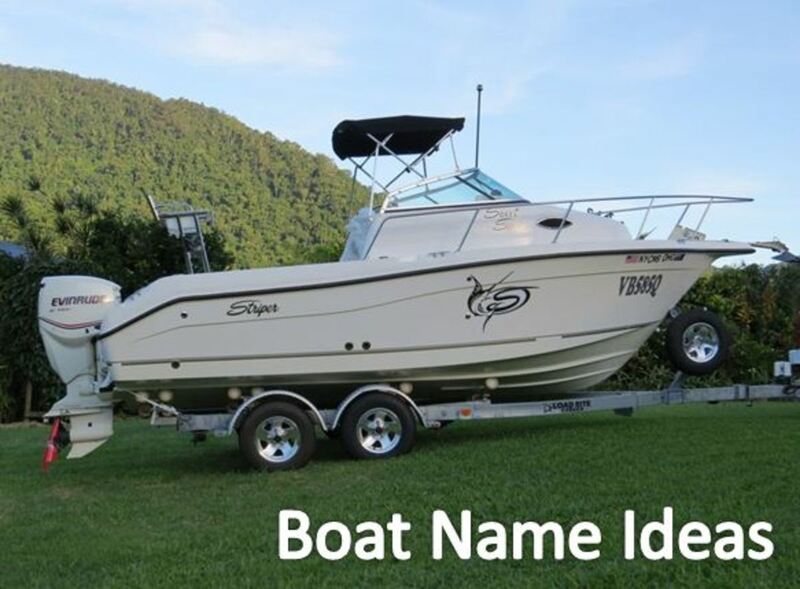 I have a 1996 WaveRaider. I was able to start it before, but now I just have an initial spark when cranking then it loses the spark. It's not the starter or battery, right? Have you checked the starter solenoid? Also, make sure the fuse is still good in the electrical box. Check the starter solenoid!! I went through several one summer. They can be fickle little buggers! Need more info for anything deeper.